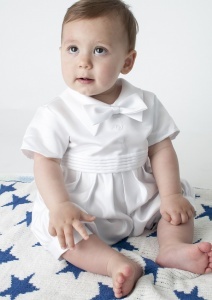 Baby boys blue & white diamond tuxedo style romper outfit tails suit, perfect for your baby boys christening day. 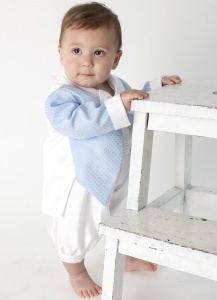 Jacket: Blue long sleeved jacket with a diamond pattern and silver sparkly flecks featuring buttons on the front and tails on the rear. 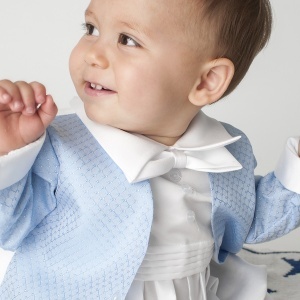 This baby boys blue & white diamond tuxedo style christening outfit made with 100% polyester is of an outstanding quality and will make a precious family heirloom for future generations of your family.